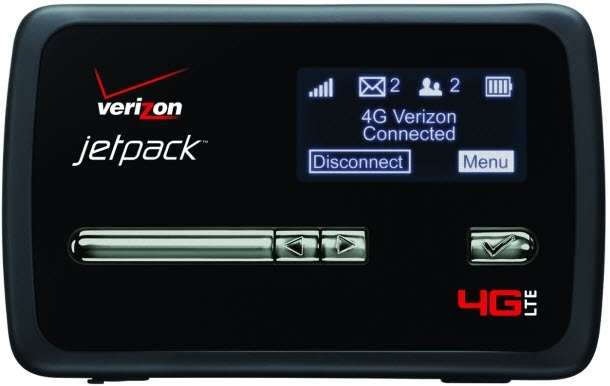 Congrats to John E. of Scottsdale, Arizona who just won a $25.00 Restaurant.com gift code for writing a review for Verizon Jetpack MiFi 4620L - Refurbished, Like New No Contract Upgrade at 3Gstore.com! Every week we randomly pick one product review from the previous week and award the writer a $25.00 gift code. We appreciate ALL the reviews our customers write, whether they are positive or negative - honest reviews like John E.\'s help other customers decide if the product is right for them. After you purchase a product from 3Gstore.com, we encourage you to log in and 3Gstore.com and leave a review letting people know how the product worked for you - you'll be helping others, and you'll automatically be entered to win a restaurant.com gift code!. Worked very well, with a user-friendly interface and browser presence, but ONLY works with Verizon's no-contract but monthly/daily plans with no rollover, which expire and are outrageously expensive. There is no true pay-as-you-go system to use with it, such as a card with so much data credit which does not expire and can be refilled when desired.